China has a huge market with more than one billion people. The country presents near endless opportunities to investors. China's economy has increased dramatically due to which it is considered a prime destination for foreign investors. In 2000, China had overtaken the US as the largest recipient of foreign investment. A growing economy, thriving capital markets, and favorable business environment create the perfect opportunities to invest in China. In this article, we will take a look at ten best cities that are the best places for foreign investors to do business in China. Shanghai ranks as the best city for investing in China, according to FDI Intelligence’s 2017/18 report. The city has been ranked fifth best city to invest in the Asia-Pacific region. It is becoming one of the most progressive cities in the world when it comes to creating investment opportunities. This is the reason why most foreign investors prefer to do business in China. One of the biggest auto shows in Asia takes place in Shanghai. In addition, an interactive entertainment expo is held in the city every year. The expo has the same standing as the E3 Expo in the US and the Tokyo Game Show in Japan. By 2020, the city envisions itself to be the top destination for finance, trade, and transport in the world. Among other incentives, the city has canceled the requirement of minimum registration capital for setting a business in the free trade zone. Moreover, under the free trade zone, international investors are not required to contribute capital within two years of setting up a foreign-invested enterprise (FIE). Another famous port city that is the best place to invest in China is Guangzhou. Also known as the Ram City, Guangzhou presents a lot of investment opportunities to investors. For the past two millennia, the city has remained the financial, political, and cultural center in China. Today the city is known as the Millennium Business Capital due to being one of the centers of commerce, trade, finance, and transportation in China. It attracts a large number of global investors due to attractive investment environment. You can invest in the above industries by setting up a business in China. Consider partnering with a local firm to invest in China in any of these industries. The city has a highly educated labor with 2.88 million people having a college degree and above 1.41 million with management and technical expertise. foreign investors to invest in China. Some of the investment incentives include support for financial exchange, cross-border renminbi business, trade, shipping logistics, and government services. After the introduction of trade reforms in Guangzhou, the city has attracted a lot of foreign investment. Foreign trade is prospering in the region while the economy has skyrocketed increasing at the rate of 13 percent per annum. AnExport fair known as the China Import and Export Fair is held in the city every Fall and Spring. Also known as the Canton fair, it's one of the longest and largest fairs in the world. The capital city Beijing is also a great place to invest in China. The city is the political, scientific, educational, and cultural center in the country and houses the official seat of the Chinese government. Beijing is one of the most competitive and dynamic regions in the world. The city is a prime city to invest in China due to its world-class and cohesive communication and transport infrastructure. The city is connected to every major region in China. Employers will find it easy to find qualified professional since it is the most educated region in the country. The city's management gives preferential treatment to foreign investors. It is the major recipient of the regional development strategies, and is the center of the Bohai Economic Rim, which is an economic zone that consists of Beijing, Heibi, Tianjin, Shanxi, Shandong Peninsula, and parts of inner Mongolia. Its geographical advantage includesclose location to land, international shipping routes and natural resources. 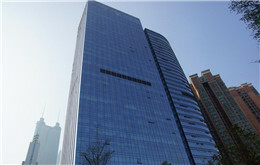 Beijing is also the financial and commercial hub of the country. The city has undergone accelerated development in the past few years. Today, it has around 40 percent of the financial clearances business and 60 percent of the financial assets. The city has three state level and 16 municipal level trade zones with different industrial functions that meet the needs offoreign investors. State level zones include Beijing Tianzhu Free Trade Zone and Beijing Economic and Technology Development Area. These zones are home to many foreign-owned companies in China. Wuhan is a central education and industrial base in China with a developed transport infrastructure. It is one of the top-rated metropolises for investing in China. Having a population of more than 10 million, it is the largest city in central China. The city has been ranked as one of the most dynamic cities in the context of investment opportunities similar to Shanghai, Shenzhen, and Beijing. Global conglomerates and startups alike have recognized the city as having a prospering and attractive economy due to which they are investing heavily in the region. Innovation and economic development has been driven by a mix of industry and academia. The city provides access to research and development resources that will derive innovation. The urbanity of the city along with efficient transportation networks including high rail services provide definite advantages for investors to invest in China. Yet another great place to invest in China is Hangzhou. The capital city of the Zhejiang province is an economic, science, politics, transport, media, and finance center in the country. Moreover, it's the metropolitan economic center's main point for commerce. In addition to hosting the China International Cartoon and Animation Festival and international micro-film exhibition, Hangzhou hosts the World Leisure Expo every year. With a population of around 9.46 million, Hangzhou presents lots of investment opportunities for investors in China. The economy of the city has undergone great transformation after opening up for foreign trade in 1992. The city is considered to be an important logistics and manufacturing hub. Also known as the Peng City, Shenzhen is yet another great place to invest in China. The city is considered to be one of the top countries to invest due to investment-friendly climate. The special economic zone in the city creates incentives for investors to do business in China. The city is an important air and transport hub being an international port. It is also the fiscal and economic center in the city. Foreign investors are offered various incentives like no income tax for the first 2 years of operations in the high-tech industries and half income tax for the subsequent 8 years. In addition, new export oriented foreign enterprises have to pay only half for the land that is used for setting up an industry. Certified projects related to certain technologies have to pay half for the use of land for up to five years. No fee is charged for the transfer of land-use that is used for setting up high-tech business in Shenzhen. 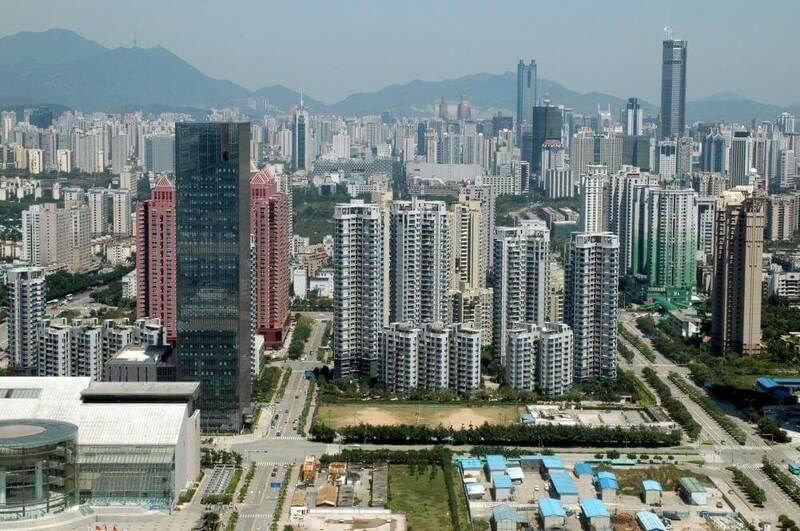 Shenzhen is the symbol of economic reform in China. A national cultural industry fair known as the International Culture Industry Fair (ICIF) takes place every year in the city in May. The fair attracts both local and foreign companies and creates a platform that promotes trade in the region. 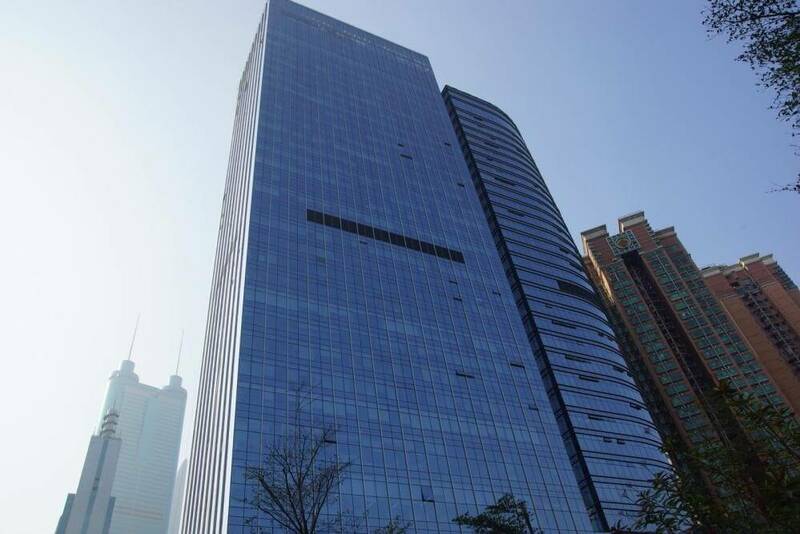 Foreign businesses in Shenzhen have long been provided preferential treatment. The production of goods is not restricted by any quota. No permit is required to produce a large number of goods. Foreign firms are given freedom to fix production levels according to demand. Foreign workers living in the city are offered the same standards as the locals. They can enjoy equal services and are charged at the same rate as the local population when it comes to seeking medical help or purchasing of houses. Located in the southwest of China, Chongqing is a great place to invest in China. The city is one of the major industrial bases in the country. The port city is located at the confluence of the Yangtze and Jialing rivers. It is currently the biggest inland city in China that presents attractive opportunities for foreign investors. Newly conferred the status of municipality, Chongqing is considered one of the best business destinations in China. There is a lot of potential for business development since only about half of the population is urban. The city is well placed at the upper Yangtze economic belt thereby serving as a gateway to the largely untapped potential of the western areas. It serves as a key transition point connecting the developed east coast with the largely untapped western regions. This makes the city occupy a central position as a regional manufacturing, logistics, and financial hub and is poised to play an important role in the development of western China. Being twelve times the size of Shanghai, the city has abundant resources. Companies can tap into the low-cost labor base thereby gaining cost advantages. The market within the city also has huge potential for investors as an investment will result in an improved standard of living. Being one of the most economically developed cities in China, Tianjin provides great opportunities for investors. The city was one of the earliest ports that were opened to foreign investors. Today the port city occupies an important financial, trade, and economic position. Tianjin is the second largest city in China and the largest trade port in the northern part of the country. Similar to the capital city Beijing, Tianjin is situated in the Bohai-rim Economic Circle. In addition, the city is the sea gateway of the northwestern parts of the country. It serves as an important position in the national and regional economy of the country. Suzhou is also a good place to invest in China. The city is located about 100 km away from Shanghai in the southeastern part of the country in the Jiangsu province. It has a large manufacturing base producing electronic and IT devices, iron and steel and textile products. The city has a well-developed service sector that primarily caters to tourism. The state council of China has designated Chengdu as the western center of finance, science, logistics, and commerce. The city has a well-developed transport and communication infrastructure. In addition, it is an important base for agriculture and manufacturing. Chengdu is the fourth largest technological hub in China. The city is the innovative capital of the country making it one of the best places to invest in China. The city has a high-tech zone that stretches for more than 130 km and supports more than a thousand foreign enterprises. Notable tech zones in the city include the Tianfu Software Park, Chengdu High-tech Zone, New Tianfu Areas, and Eastern Chengdu Manufacturing Hub. Foreign business can benefit from investing in Chengdu's innovative technological hubs. One of the most attractive aspects of setting up a business in China is the sheer size of the market. Attractive economic growth and modern well-developed infrastructure are also plus points for investing in China. Enterprises backed by foreign investment can capture a significant market base by investing in China. They will be able to sell products to local and international markets at cheap costs. This will result in increased profitability and significant returns on investment. If you are thinking about making the leap by investing in China, you should consider getting the help of a specialist China-based firm. This will help make the registration process easy and streamlined so that you can focus on more important, strategic aspects of the establishing a business in China.